Do You Have the Foundation for Successful Scaling? If you’re posting 100% annual growth rates, you’ve reached the dream of scaling up your growth. You can achieve eye-popping revenue growth through sales and marketing success. Alternatively, you might take the option of acquiring a company. This dream of scaling up fast has a dark side though. If you don’t think it through and set your foundation for scaling in advance, your drive and ambition to grow can end up hurting the company. Have you ever heard the saying, “move fast and break things?” It’s commonly attributed to Facebook, but it isn’t limited to that association. When you grow too quickly, your company starts to show cracks. Here are some of the ways that problem can show up. Diminished employee experience: When you transition from hiring five people a week to 100 people a week, your processes and systems are going to break down. That means employees are going to waste time becoming productive. In the long term, your recruiting expenses will skyrocket as discontented employees leave. Financial reporting problems: Your understanding and control over revenue and expenses won’t be clear when you scale too fast. Executives, investors, and bankers won’t tolerate poorly managed financials. IT service quality failures: Response times to help desk tickets start to get longer. There’s less capacity to deliver innovation. That’s what failed scaling looks like for IT operations. Excessive cybersecurity problems: With management attention focused on top-line revenue, vulnerability testing, employee training, password management, and other cyber practices tend to be ignored. This scaling problem hurts you in several ways. First, you’ll have a much greater challenge in landing demanding enterprise clients, such as banks that have high security standards. Second, your company will suffer much greater harm when you’re eventually hit with a cyberattack. IT Managers: How Can You Enable Scaling? What would happen to your systems if tickets doubled? If we tripled the number of customers, what would happen to quality? What manual processes in finance, HR, and other corporate functions would collapse during scaling? You probably don’t like the answers to those questions. Rest assured that taking a few minutes to think through these questions puts you ahead of other IT leaders focused on the status quo. Now, you’re probably wondering what practical steps you can take to enable successful scaling. Use the following six-step process to create the conditions for a high-growth company. Everything starts with goals: what level of revenue, profit, and employee growth is planned? Even better, aim to understand the growth dynamics and drivers. Getting ready to support a wave of acquisitions is a different challenge compared to internal growth. Tip: Don’t stop your work at reading published goals. Sit down for a few 1-on-1 meetings with senior executives to ask for their perspective on company goals. These conversations will also help you learn what executives expect from IT. As an IT leader, you need to act as the bridge between enterprise goals and what IT can deliver. Involve your manager colleagues in the process. For instance, take a company goal to provide best in class customer experience. What does that mean for IT? You may need to look at your reliability and availability performance. Alternatively, you may look at launching a user experience improvement program. As the organization starts to pursue scale, you need to find the vulnerabilities, blind spots, and weaknesses that hold IT back. We recommend looking at people, processes, and systems. Regarding people, do you have any “single points of knowledge” where a single vacation or illness would cause IT to grind to a halt? For processes, look for cases where employees and managers complain about having to use manual workarounds. For systems, review the “wish list” requests that your staff members have been requesting lately. Your first instinct may be to request a large budget increase so you can build up your IT department. Unfortunately, that may be perceived as “empire building” by non-IT leaders. Instead, we recommend pursuing other means to improve operational efficiency first. After you have those wins in place, you’ll have added credibility to request a budget increase. Leveraging standardization and automation tools is the best way to improve IT operations. For example, your IT help desk will be buried in a mountain of password reset requests. In that case, get a password management software solution in place. That’ll free up staff capacity to support scaling projects. Providing outstanding IT support to end users may kill your scaling dreams because you’ll be training users to adopt a “learned helplessness” attitude. That’s no good! Instead, you need to change the conversation to empower end users. Making this change starts with IT policy changes. Make it clear that all users have responsibility for IT success. Next, equip users to take care of the most common IT problems themselves. 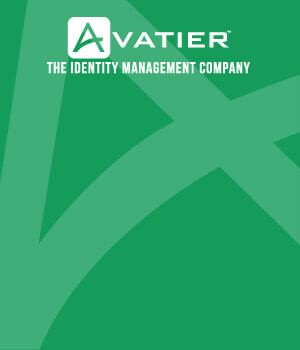 For example, provide password management training. 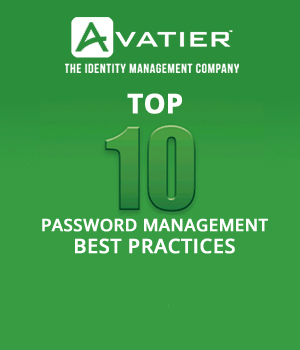 Improving end user password behavior is one of the best ways to enable scaling growth. Your end user training should include a blend of self-serve training (e.g., knowledge articles and tutorial videos) and in-class training for complex topics. Without monitoring, you’ll never know if you’re really making progress. Define your own “enabling scaling growth” key performance indicators and monitor them in a dashboard. Use these ideas to start the process. Response time to IT tickets: If you have a large volume of tickets (i.e., over 100 per month), consider using a weighted scoring process. That approach will help you to distinguish between low, medium and high significance tickets. IT project delivery: How many of your “supporting scaling growth” projects are meeting their milestones? If there are delays or problems, you need to hear about them promptly so you can intervene or provide additional resources.